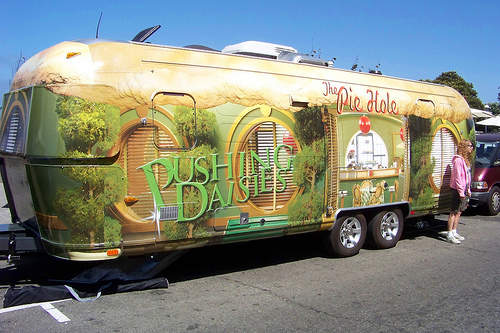 The television show Pushing Daisies is traveling the country this month via a truck and will be at The Fashion Show Mall (3200 Las Vegas Blvd.) in Las Vegas Friday, September 12th. Stop by to receive Free Pie!, Pie-Cutters, Spatulas and more. You can find more information about the Pie Hole tour at www.Pushingdaisiestour.com. Sounds like fun, and who doesn’t like free stuff!